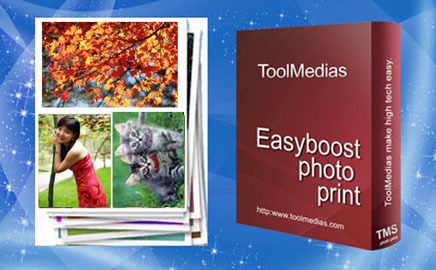 Easyboost Photo Print is an easy-to-use Photo Printing Software.It's quick, easy, straightforward, and extremely flexible. A Powerful Event Photo Printing Software is dedicated to event photographers and photo booth operators. 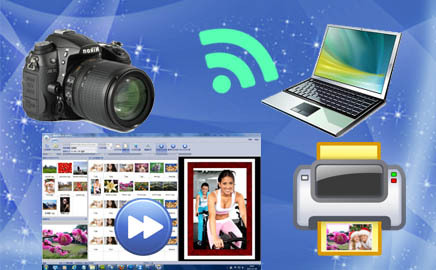 Auto Instant Photo Print(AIPP)is a special event photo printing software for wedding or envent photographers.If you want to print multiple photo Layouts,The Easyboost Photo Print software is more suitable for you. Auto Instant Photo Print(AIPP) is a windows app that monitors a folder for images and prints all of your event photos on the specified printing using the specified paper/print size instantly and automatically.It doesn't matter what orientation (Portrait or Landscape) the photo is shot in. AIPP will automatically rotate and print the image at the proper orientation and auto crop to fit the specified paper/print size. Frame/Png Logo/Text can be preset for every image.What is more,this app supports multiple printers work collaboratively for the selected hot folder.